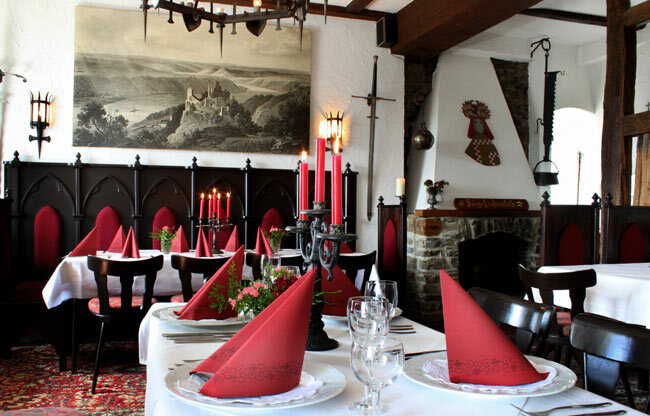 In our castle restaurant you can dine in medieval atmosphere. 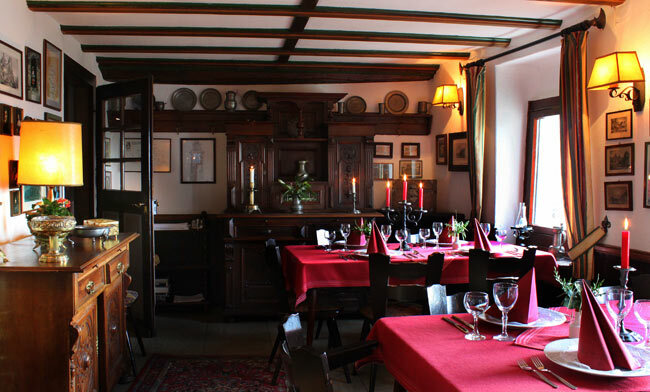 In the knights' hall or the "Bauernstube" we serve you traditional German dishes while you can enjoy a wonderful view over the Rhine River Valley and torwards the neighbouring Castle Sterrenberg - the Hostile Brother. On our castle terrasse or the castle garden you can relaxe, enjoy fantastic panorama views and forget about the everyday life. 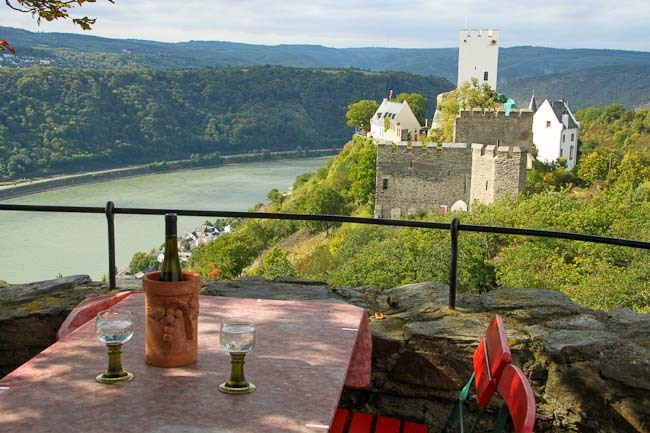 The Upper Middle Rhine River Valley in Germany is famous for it's excellent wines. For centuries winegrowing has been an important part of the culture in the region. Our castle wine-cellar offers a special selection of fine wines from local vintners. 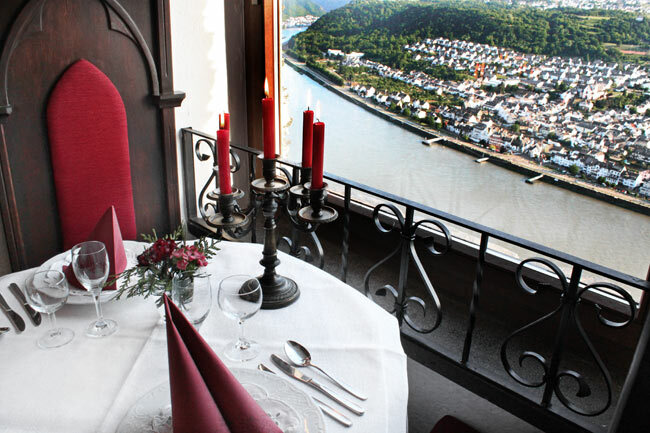 In the romantic village Kamp-Bornhofen, right below Castle Liebenstein, you can find our Hotel Garni Rheinischer Hof next to the landing stages for the cruise boats.